The NEH will be hosting a webinar for grant coordinators and district staff on how they can help constituents related to Native communities with the grant process. The webinar will provide information on specific grant programs, the programs’ deadlines, and resources available to applicants. It will take place on Tuesday, July 30th at 3:30 pm. The webinar will discuss grants offered by the NEH that are applicable to Native communities and their affiliates. It will also provide important tips and recommendations about the grant process that grant coordinators and district staff can pass on to their constituents. The webinar will enable grant coordinators and district staff to assist tribal organizations, tribal colleges, museums, Native American scholars, universities, and other cultural institutions in applying for funding from the National Endowment for the Humanities. Interested coordinators and staff can RSVP for the webinar by emailing msanders@neh.gov. Native American Webinar slides here. 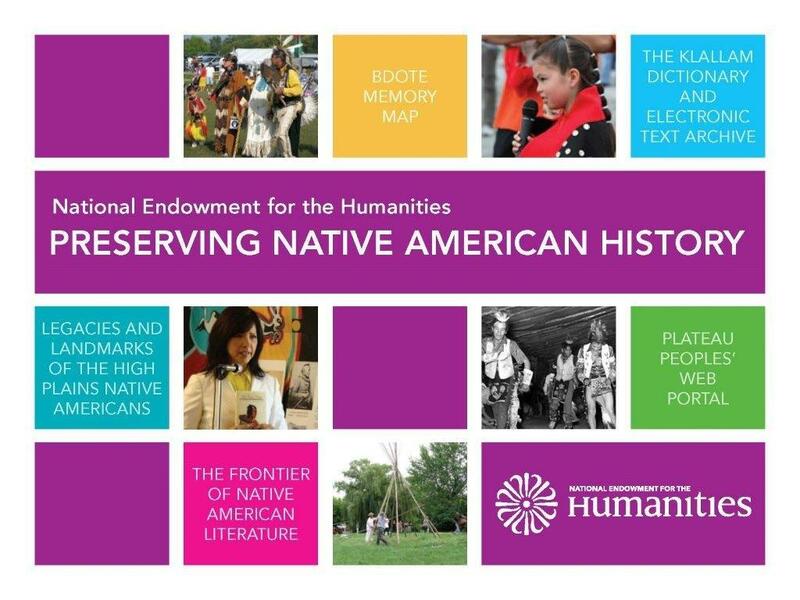 Cover of the report recently released by the NEH describing the agency’s impact on Native American communities. This entry was posted in Uncategorized and tagged District Staff, Grant Coordinators, Native Americans, NEH, Reports, Webinar by nehblog1. Bookmark the permalink.